An oceanfront timber frame home near Bellingham, WA, designed with sturdy timbers and structural insulated panel (SIP) construction to withstand harsh wind and rain. 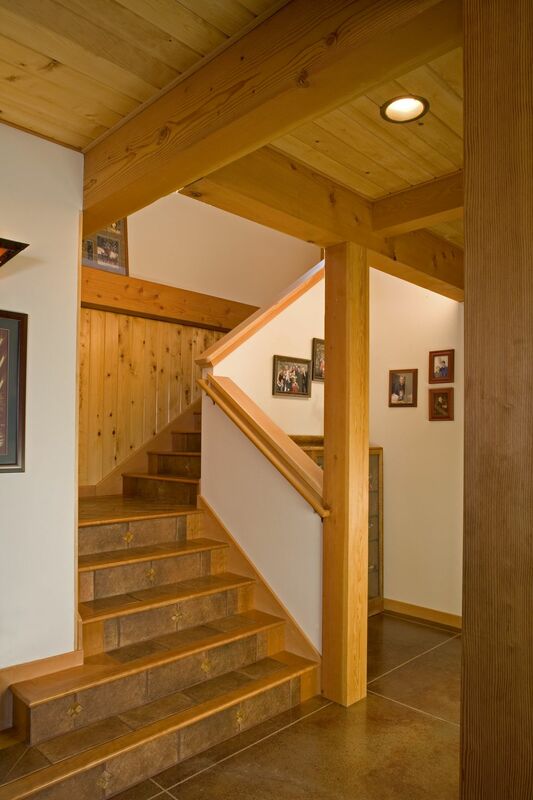 This timber frame home near Bellingham, Washington was designed to withstand the elements. It is located on the beach, just above high tide, and is surrounded by the owner's oyster beds. The sturdy timber frame and structural insulated panel (SIP) construction keep out the frequent harsh winds and create a quiet and calm interior. The slab on grade construction, stone and shingle exterior, and heated concrete-finish floors are designed to stand up to the harsh environment with minimal maintenance.